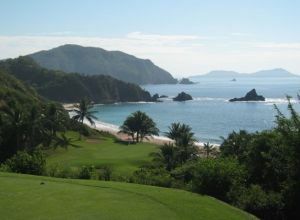 We offer a choice of over 4 golfcourses spread out thru Mexican Riviera. Book green fees and tee times in REAL TIME and get your confirmations immediately. There is not one flawed hole on this 6682-yard, par 72 course, and no less than 14 holes could qualify for signature status. Situated on its own island between the Laguna Navidad and the Pacific Ocean, the Isla Navidad offers the best of both worlds. You can play the day away on our 27 championship holes PGA-rated par 72, featuring our new Lee Trevino nine. 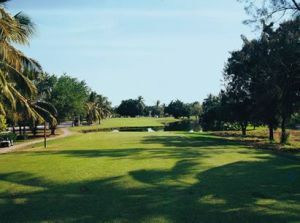 And for those who wish to improve their game, we’re home to the only America’s Favorite Golf Schools site in all of Latin America. 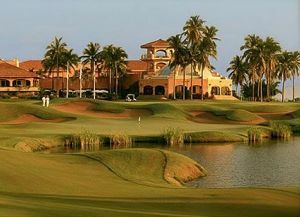 With only two other golf courses in Mazatlan, there is simply no comparable course in the Mazatlan area.